Each user profile contains data for a single user. 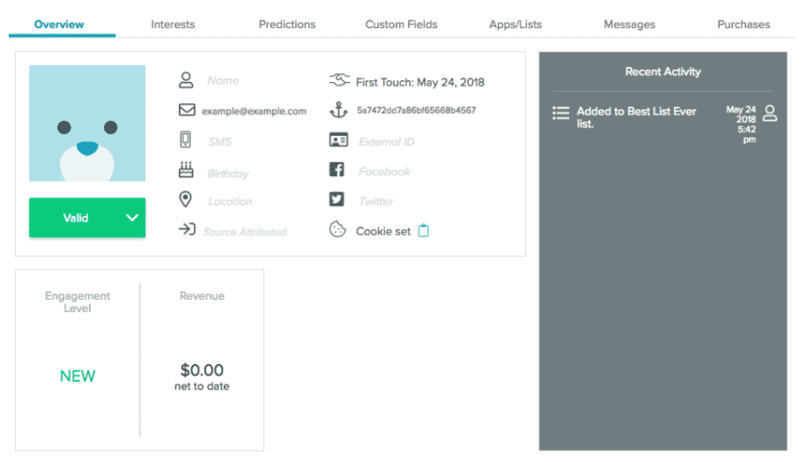 This includes user predictions, engagement, and location information, as well as the custom vars you’ve added to your user profiles. Search for a user by entering their email address into the search box in the top-right corner of My Sailthru, the top of the Lists page, or the User Lookup page in the Analytics section. When you press Enter, the user’s profile data is displayed. An example user profile. As users engage with your content, you’ll see engagement, revenue, prediction, and location information populate the profile. Email Status Appears under the user image. Provides the current status of each user, including: Valid, Hardbounce, Hardbounce (Reset), Opt-out (Marketing), or Opt-out (All). For more information on optout, see User Opt-Out Levels. Email Address Required for all users and often used as the key identifier for a user. SMS The user’s SMS number. This is only available if you enable SMS. Contact your CSM or Support to enable this. Location The most frequent location of your user. Source Attribution The source of your user’s sign up. Activity The date of the first activity on the user’s profile. Sailthru ID A unique hash code that can be used as a key to programmatically look up a user or modify user data. External ID A unique identifier for a user’s profile that you set. Cookie This indicates the user’s cookie status. If they have a cookie set, then this displays “Cookie Set” with a clipboard icon. Click the clipboard to copy the cookie value. Engagement Level Engagement refers to how much interaction or response you receive from a user. See Engagement Levels for further information. This appears in a box below the general user information. 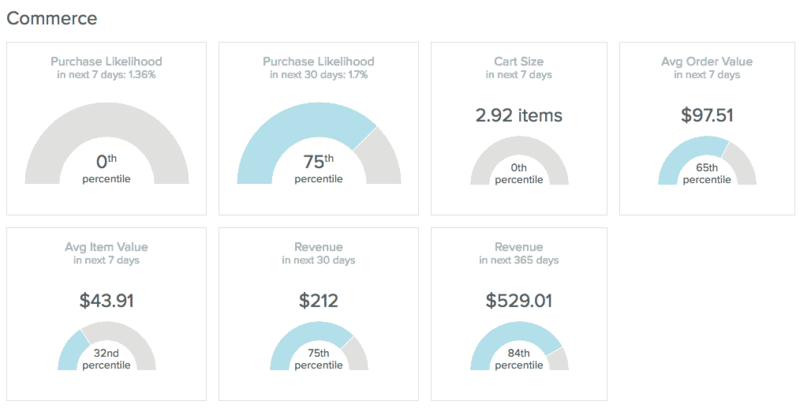 Revenue For e-commerce Sailthru users who employ the Sailthru Purchase API. Displays the total revenue attributed to the user. If the Returns API is implemented, the total value of the user’s returns is subtracted. This appears in a box below the general user information. Recent Activity A detailed list of recent activity, including purchases, lists the user has been added to or removed from, clicks, and opens. Recent Activity is displayed in a gray box to the right of the user profile. Sailthru displays a user’s birthday, first name, last name, and source in the Overview tab of the user profile if the variable name matches the following naming conventions. Profiles for users opted out of receiving your messaging show the opt-out information before the general profile information. 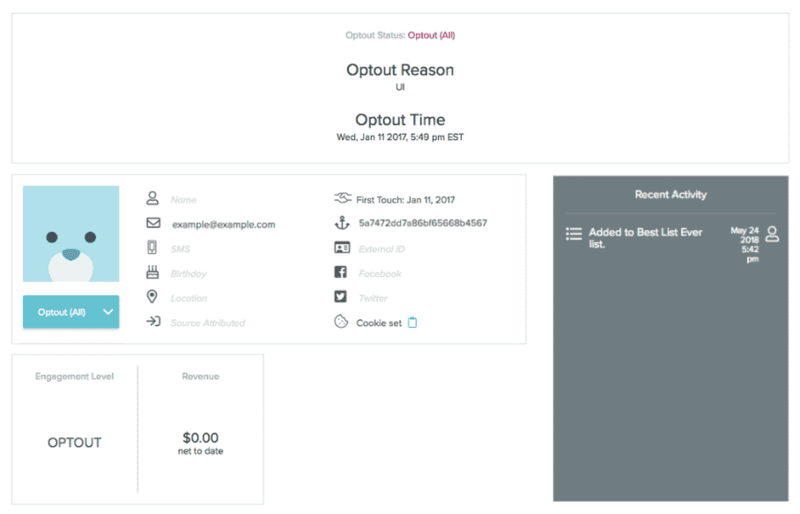 An opt-out reason, which is a system-generated value that explains how a user opted out. API: The user opted out via the unsubscribe page connected to a Hosted Page in Sailthru (most common reason) or via an API call. Unsubscribe-email: The user opted out by clicking the unsubscribe link provided by the ISP and the ISP sends the information to Sailthru by feedback loop. Spam: The user marked the email as spam. UI: The user’s opt-out status was manually updated on the user profile. Update: A bulk update job opted out a mass group of users. There are a few more sections that will populate with data as your users engage with your content. This section includes an overview of the engagement and e-commerce predictions available for an individual user. A Prediction Manager subscription is required to use this feature; see the Prediction Manager Overview for more information. Get an overview of a user’s engagement with your content, including device information. Map your user’s location when they interact with your content. The majority location is also seen in the general user information under Location. The tabbed sections elaborate on the information presented in the basic User Profile view. 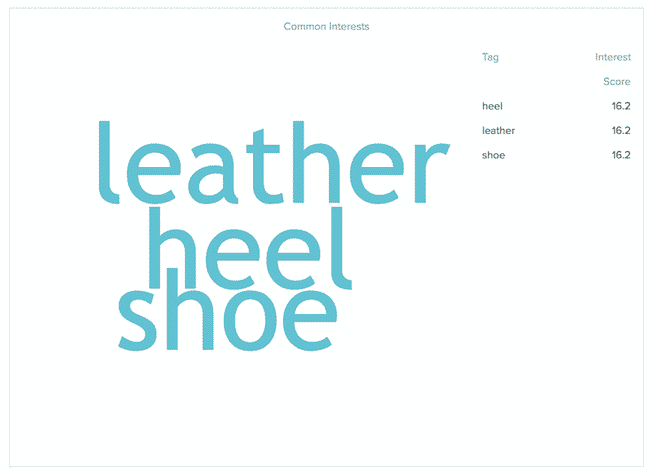 The Interests tab contains both a word cloud and a list view of the user’s interests, pulled from your content tags.You’ll see up to 100 words in the word cloud, and up to 15 interests in the side column. Common interests – Interests of the user which exist within the top 100 interests across your user base. Unique interests – Interests of the user which exist beyond the top 500 interests across your user base. These are the least commonly shared interests of the user relative to all other users in your account. Each interest in the list view is displayed with a numerical factor representing the degree of interest compared to the average across your user base. For example “Soccer (6.5)” would indicate that the user is 6.5x more interested in Soccer than your average user. While this interest factor may have any value, only those interests that have a factor of 2 or more are displayed. Setting custom fields allows you to personalize communications and segment lists for sends and reporting. The Custom Fields tab includes a listing of all the custom data stored on a user’s profile. The Apps/Lists tab contains a list of all the apps a user has downloaded, as well as the Natural and Smart lists the user belongs to. The list of Apps includes all apps developed using the Sailthru SDK that have been accessed, including the app name, the device type, the install date, the uninstall date (if applicable), and the last open time. Natural Lists include the list name, the added date, and the total list membership. Smart Lists include the criteria for Smart List membership in the description, the list name, and the total list membership. Previous List Membership includes all the lists a user was part of.